What’s in the Night Sky? As far back as I can remember I have been a night sky watcher. During my childhood our family would jump into the car for a night at the drive-in movies —there were always two movies back-to-back on Friday and Saturday evenings. Out under the stars, I would often spend more time watching for shooting stars instead of the movie. My reward was always being the first to see a star speeding across the sky and making a wish — or would I call it a UFO today? I have seen my share of UFO’s, especially when I lived in Arizona for a few years, where there are plenty of clear nights to enjoy my favorite sky-watching hobby. Unfortunately I was not living in Arizona on March 13, 1997, when thousands of people observed a huge V-shaped UFO for 106 minutes. I also enjoyed several cross-country road trips that turned into great UFO sighting adventures. Nothing tops my own yard to sit with a warm cup of coffee or hot chocolate and gaze at the sky, letting my imagination soar. Okay, so nothing I have seen in the night sky has proven the existence of aliens. What I have witnessed looking out at the sky on a clear night are millions of stars with the potential of planets that may support life. It has instilled in me the firm belief that they are out there, and have already visited Earth. What have you seen in the night sky? This is a fair question to ask in today’s ever evolving world. After all we have discovered planets that are capable of life as we know it, the Catholic Church has stated that aliens are our “space brothers and sisters”, the number of reported sightings and abductions continually increasing, and even Astronauts admitting to seeing UFO’s. Plus, NASA leaks make UFO’s and aliens more of a reality every day. On the popular ‘Coast to Coast’ radio show with George Noory people have an open forum to make their experiences known, some with warnings, while others speak of friendships and enlightenment with alien guides. Either way aliens may well be among us today and we are unaware of their purpose ~ friend or foe. 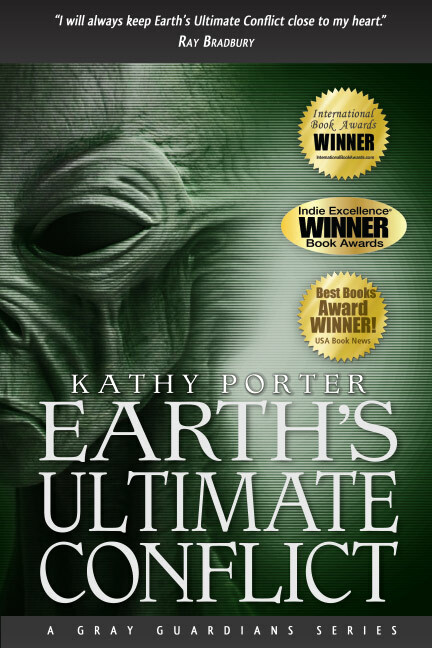 Although I have my theory of why they are here, and I make it clear in my book Earth’s Ultimate Conflict, the first book in my Gray Guardians Science Fiction Thriller Series, I am not, nor do I claim to be an expert on aliens. However, my insatiable desire to discover why and what they are here for inspired my work. You may or may not believe in alien life, but I suspect if you are reading this blog post you do. What are your theories on why Aliens have such an interested in Earth and the human race? Feel free to openly speculate. We are spending millions of dollars to find out if life ever existed on Mars, as well as discover if it could support life, perhaps human life. What if, as one popular movie Mission to Mars suggested, we are the Martians? Could man have actually simply landed here? Perhaps an advanced civilization on Mars moved part of their population prior to a catastrophic event that wiped out their planet? When I consider the Darwin Theory of Evolution I find it plausible for most species. I am positive evolution created many species over time. However, like many others, I find it difficult to understand why there are still apes if we supposedly evolved from them. No other creatures that evolved from another coexists—so why do man and ape? So were we deposited here by alien entities? Or perhaps and advanced species experimented with a mix of alien DNA and create us? Or could it be as simple as the Bible states, God created the first humans, Adam and Eve? Which ever it is, in my mind it doesn’t discount God’s hand in our existence. After all who created the aliens. These are just a few thoughts to ponder. Are We Closer to Alien Disclosure? We are constantly bombarded with conspiracy theories and government cover-ups. It doesn’t take long to discover a new hidden truth after a catastrophic incident or horrific murder scene. The majority of conspiracy are easily compiled by quick thinking theorist who have the ability to take a string of events, many that have nothing to do with the actual event, and link them together in a very compelling and captivating way. So now we are in a dilemma finding it difficult to decipher the truth. Who are these conspiracy theorists? Could they be government operatives intent on making sure disinformation causes confusion and disbelief? Is it all a grand scheme to keep us in doubt about what the truth is? Many Alien hunters would tend to believe that the “Men In Black” are just that—government agents who enter areas that have had UFO sightings or other exposure to aliens, and quickly cover up any evidence of their existence. A new factual story is released along side of the conspiracy theorists accusation of yet another cover-up and their account of what really took place. Who can keep track of all this mumbo jumbo? You have to admit it is a very effective method of keeping the public guessing and casting doubt. Many theorize that governments have released information, especially foreign governments like the U.K. and Russia, but the media is refusing to bring it into the open. Could that be another truth and cover-up meant to again complicate and cause enough uncertainty that even the most renowned investigative reporters cannot confidently report their findings? I wish I could say with confidence that alien disclosure was coming soon, or that the government has finally admitted that they exist. However given the usual report, conspiracy, cover-up, disinformation standard that exist we are unlikely to hear anything soon. In my Gray Guardians Science Fiction Series I explore what happens in the near future when alien existence is undeniable. You will have to decide for yourself if I’m just another government operative meant to confuse you. 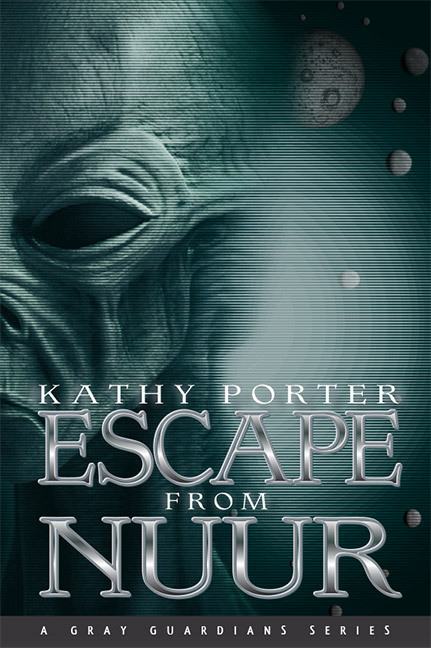 You are currently browsing the Kathy Porter blog archives for July, 2014.